Not content with plain old knitting needles, Instructables member Random_Canadian created his own set of lightsaber knitting needles. Because why not? 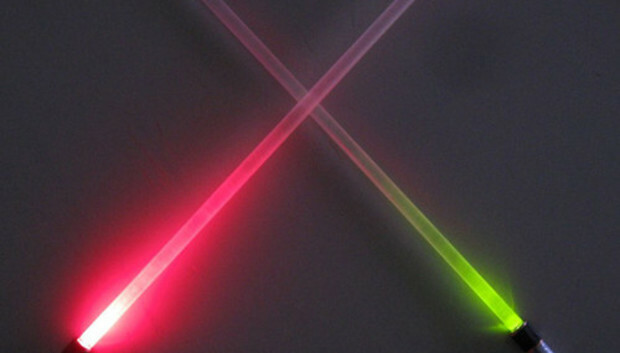 They're straight and pointy, and they even glow in the dark for knitting at night. Best of all, they won't cut your hand off. Random_Canadian fashioned his nerdy yarn implements out of a couple of small LED flashlights (which serve as the bases), with acrylic rods as the non-laser-based needles. The process gets pretty involved when you add in the green and red LEDs, but if you don't mind the white color, it seems like an easy build otherwise.